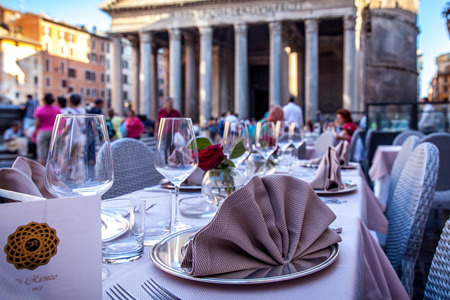 Di Rienzo Pantheon Palace is established under the will of the restaurant’ s founder, Michele Di Rienzo, to widen the range of services offered to his beloved guests. 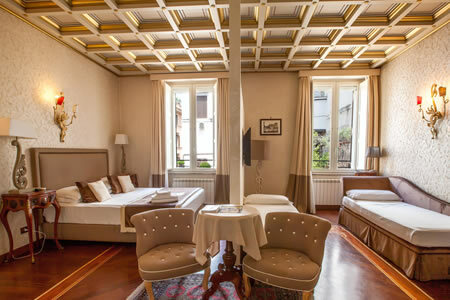 We will be glad to welcome You, wishing You the most pleasant stay in Rome’ s City Centre. For any further information please visit our Web Site Gruppo di Rienzo. 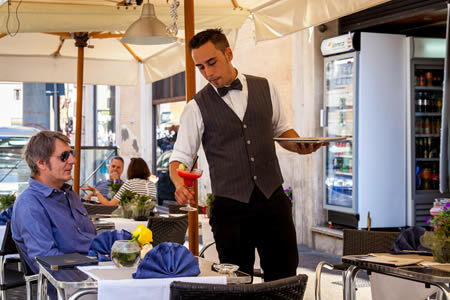 Our cuisine enhances the classical taste of traditional italian food with a wide choice of Entrées, Mixed grilled Fishes, Pizza, Pasta and Main Courses. Bistrot and Tobacco Shop right next to the Pantheon for a lovely coffe break, a charming Aperitivo with home made finger food and a light lunch or dinner. ItalyMultistore is our shop with a refined selection of the representatives of brands that turned the Made in Italy in the excellence it represents today. Perfect for gift ideas. 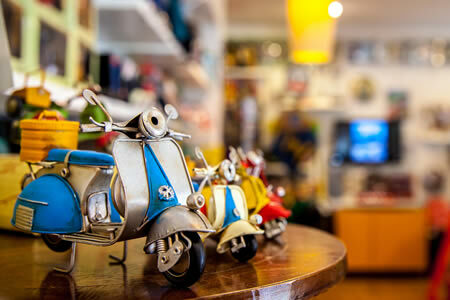 Here you can find the well known Italian Brands: Vespa, Fiat, Bialetti, Hdueo and Gianni Chiarini. Pantheon Palace is a historical umbertino style building of the XIV century, restaured by Mr. Michele Di Rienzo only 3 years ago and now renamed Di Rienzo Pantheon Palace after His name. The Palace managed to maintain its charme of the past and historical characteristics the his founder holds very dearly. It is a tiny construction but of the greatest importance. It evolves on three stories, with an elevator on the first floor. Every single one of our enchanting suites are equipped with a private bathroom. A reception service is available at Your arrival, to welcome you as best as we can with a personal check-in dedicated to Your every need. The third floor presents a terrace for every guest to use, looking for a moment of relax after a day walking around the Eternal City. All of the rooms are designed with every care and attention to maintain the construction’ s past story intertwined with the modern day commodities. This concept of a Jewel inspired the family to create the Pantheon Palace Bijoux, the new dependance in the building next door from the Palace. Bijoux counts three rooms (2 double and 1 single) located on the second storey of a neighbouring private building. The suites are designed with a modern touch of a linear and warm look. Booking a Suite in the Bijoux will grant You the same services offered to the Palace’ s Guests, as well as access to our enchanting Terrace. Both locations offer the same commodities, wether Your choice resides in the Palace or Bijoux. Pick what suits You best, for a perfect combination of intimacy and comfort. Our apartments / holiday homes are located directly on the beautiful Piazza al Pantheon. 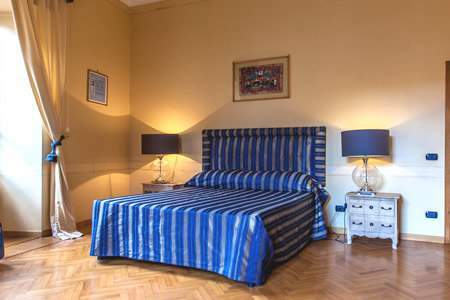 We offer 3 comfortable “Residence” solutions suitable for families or groups of people looking for a central, comfortable and romantic apartment in Rome. All apartments are furnished with prestigious furniture and all modern comforts and functional accessories. For the reservation request is handled directly by us to understand your personal needs. The Check-In will be done at our Restaurant which is 50 MT from the location. Discount of 10% at our point of sale Italymultistore.